The all new PSE Enigma™ offers advanced limb and cam technology with a lightweight, adjustable and ergonomic stock to create one of the best hunting crossbows to ever hit the market. The unique design of the proprietary X Tech™ limbs and high performance cams produce a sizzling 350 fps with only 150 lbs. draw weight. Features include picatinny rail for mounting accessories, adjustable stock, embroidered sling, and side mounted quiver. 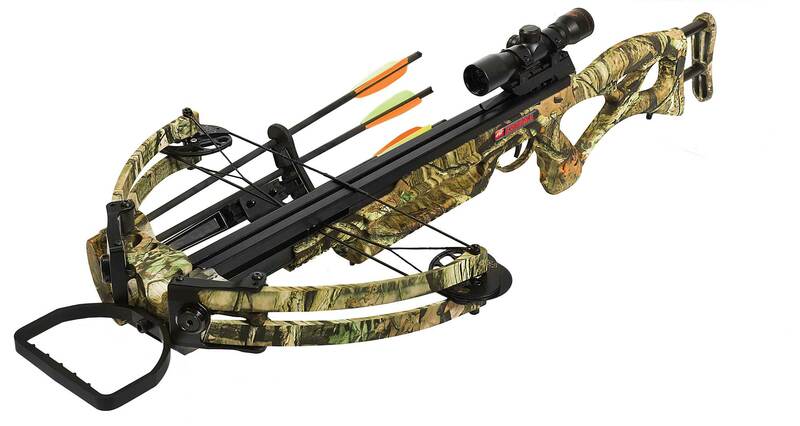 The result is an outstanding crossbow for any hunting situation. SPEED: 350 fps with 425gr bolt Kinetic Energy: 116 ft. lbs.